I give up (for now) on giving you the step-by-step. 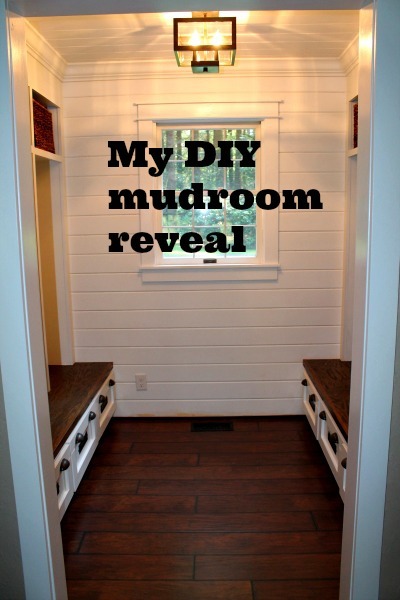 I’m dying to show you my mudroom reveal. I’ll follow up later with the other details, but c’mon.. don’t you just want to see it?! 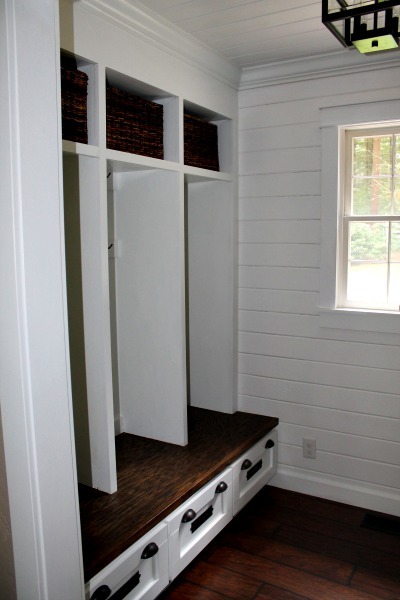 This is my new mudroom that I did by myself thank-you-very-much with help from my awesome husband when I needed more than 2 hands or additional strength. 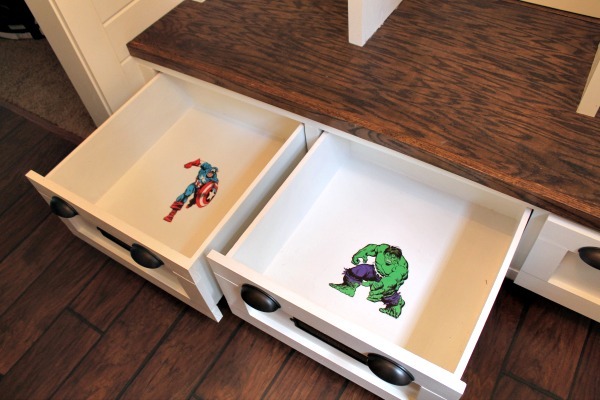 Six drawers with lockers and cubbies. 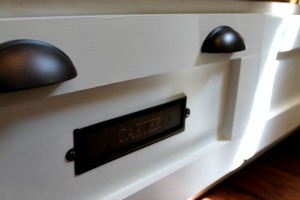 To personalize it a bit, I ordered custom name plates from Pottery Barn with everyone’s names and installed those on the the drawer for each family member. That wasn’t quite enough personalization for Carter. 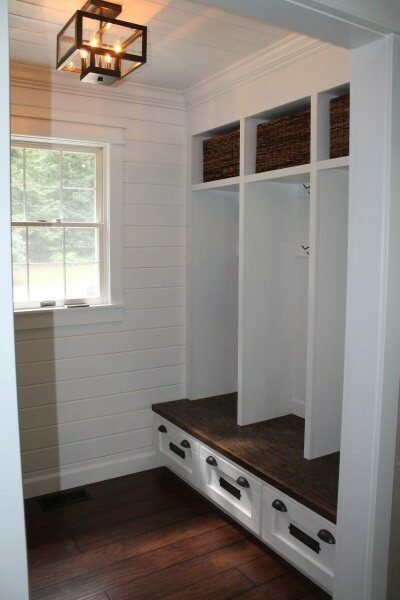 He wanted to paint HIS locker orange… and I so wanted to let him, but I had just worked so darn hard on this room so, we compromised. 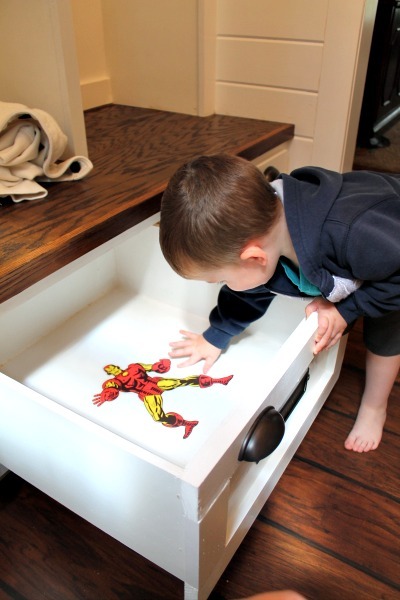 Each kid got to pick his own superhero decal for inside their drawer. They LOVE these. So, yeah.. I framed a wall, dry walled it, taped, textured and painted it. 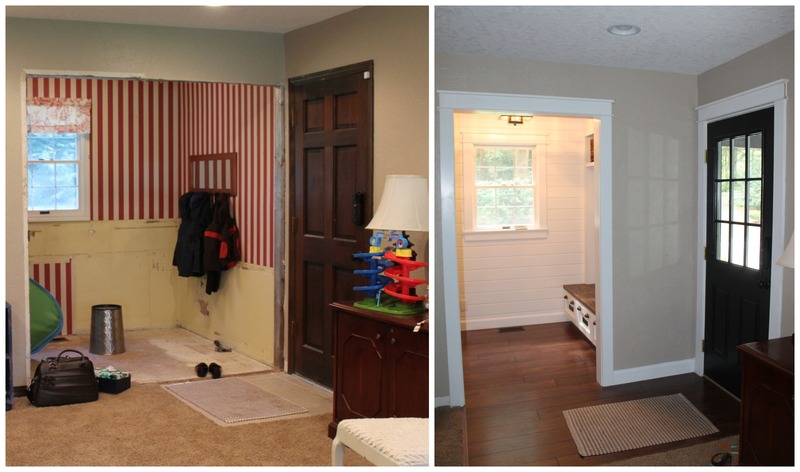 I framed a doorway and window, added baseboards. 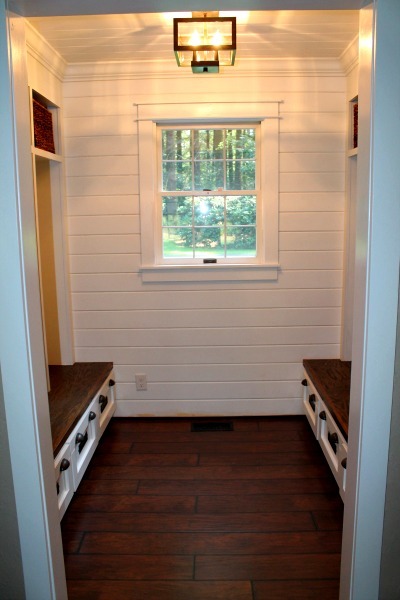 I built benches with drawers, lockers for jackets and another row of cubbies with baskets and framed it all in and added crown molding in additional to installing tongue and groove on the walls and ceiling. 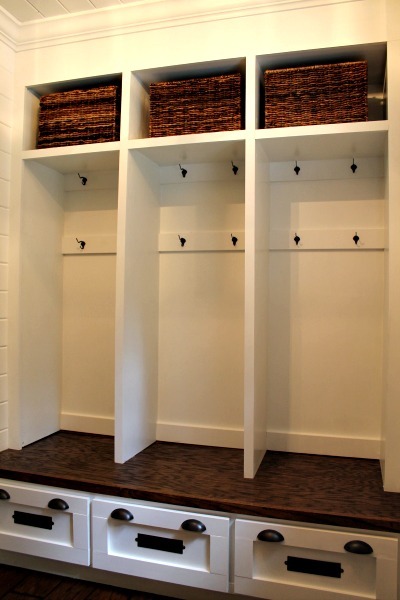 So there you have it, my favorite room in the house.. so far.